In the heart of the Texas Hill Country, a small group of craftsman are busy creating quality leather goods that showcase style and substance, function and form. Guy Rubio, Christian Craft and Falcon Craft-Rubio of Bexar Goods (pronounced Bare) don't just want you to buy a bag- they want you to buy an experience. Their leather goods are meant to be carried from home to work... from work to the airport...from the USA to a river in Tibet, a mountain in New Zealand, a meeting in Hong Kong. As they state, "We believe in ruggedness, simplicity, durability and timelessness." Their totes are offered in a bevy of color options and materials. 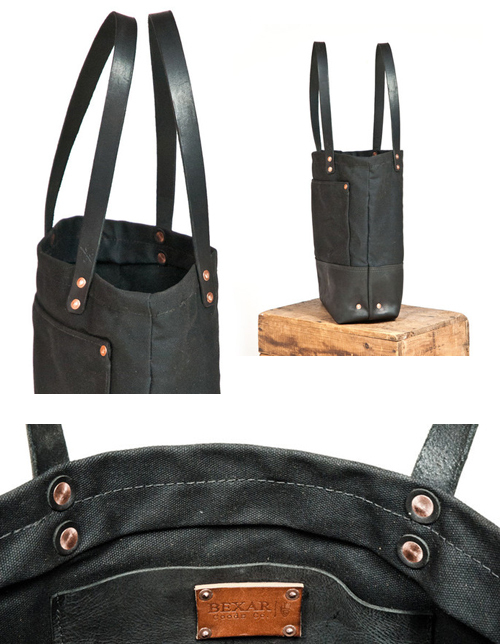 The left tote is made of duck cotton canvas which is both water repellent and lightweight. 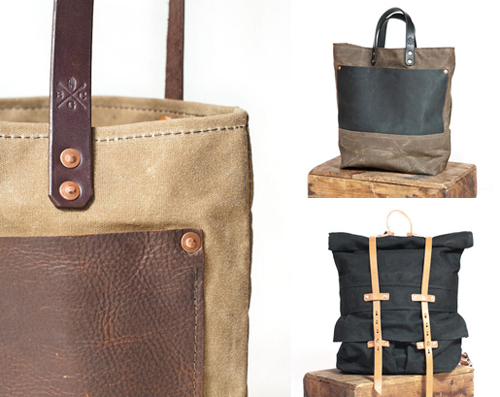 The right one is waxed canvas which is water resistant and durable enough to stand on its own. Who doesn't love a well made inside pocket? 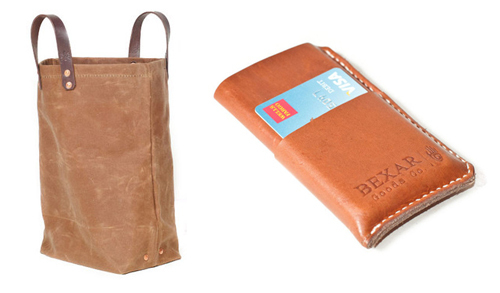 Especially one that looks spacious enough for your iPad and important papers.